Commission by developers Radisson Edwardian at Canary Wharf, London, directly opposite London’s O2 Arena (formerly Millennium Dome), and Ballymore Properties for a 1m x 1m niche in each guest room. The edition features two separate images (female and male body torsos) in three different colour finishes respective to specific interiors. 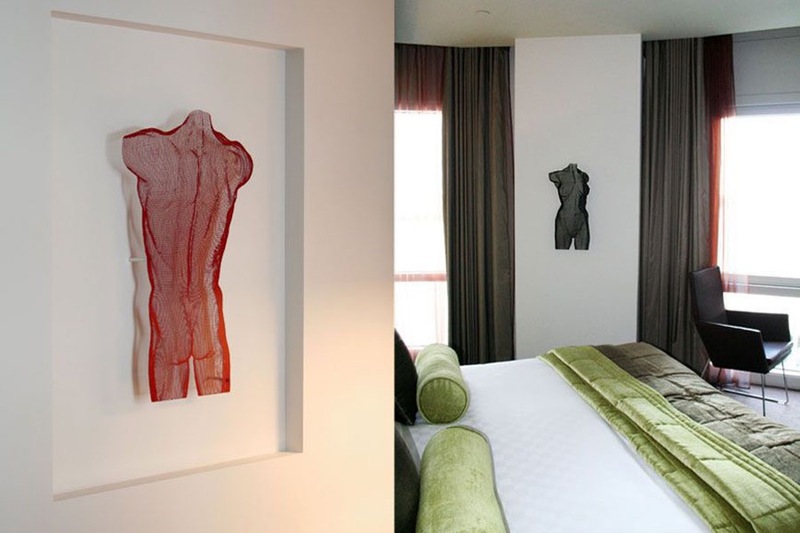 ‘VENUS‘ and ‘VENI‘ (2007) SERIES is a wall-mounted edition of metal mesh steel panel sculptures (limited edition of 170 sculptures purchased as a permanent complete collection, each artwork signed and numbered by the artist.